Canon’s single-digit flagship DSLRs have been the pride and joy of the EOS line for many years - but rarely in recent memory have we had such a strong wave of updates and upgrades. If you have been holding off with the intention of upgrading, there is no time like the present. The only question is: which one do you pick? The 7D Mark II has the distinction of being Canon’s most advanced APS-C camera, and the only uni-digit not sporting a full-frame sensor. Some may see this as a disadvantage, but filmmakers might recall that APS-C is actually very similar in size to the Super35 sensors in the Cinema EOS line and many other cinema cameras. It is appropriate, then, that this camera seems designed to introduce filmmakers coming from a starter camera like a Rebel T6i to the Prosumer world - with an emphasis on pro.On the photography front, the 7D Mark II holds its own - and sometimes even outshines its siblings. On the photography front, the 7D Mark II holds its own - and sometimes even outshines its siblings. Surprisingly, the 7D Mark II has a longer burst speed than either the 6D Mark II or the 5D Mark IV - it clocks in at 10fps where the others stop at 6.5 and 7, respectively. It features an internal intervalometer for time lapse work, and GPS for location tagging that is burned right into your EXIF data. And on top of all that, it is also rated for 200,000 shutter cycles. Between the feature list and the durable build, this is a camera your renters will be happy with for years to come. For filmmakers, it packs even more fun under the hood. This was Canon’s first implementation of Dual-Pixel autofocus in a DSLR body, and it hasn’t lost any of its luster. It sports a clean 4:2:2 8-bit HDMI output and shoots slow-motion at 60fps in 1080 - both upgrades from the Mark I. At almost half the price of a 5D Mark IV, it is a sold choice for any videographer looking to buy on a budget and still hold their image to a high standard. The 6D line has, for years now, served as Canon’s gateway to full-frame photo and video. They pack similar features to the 5D lineup - but missing a few of the tastier options. They rock sensors similar to the 5Ds - but not with the same processors. The 6D Mark II continues this grand tradition - it lacks dual card slots, and it just isn’t as friendly to filmmakers. So why buy or rent this awkward middle child? Well, for Canon photographers that want that full-frame look, there really is no cheaper option. Price-wise, it sits much closer to the 7D Mark II than the 5D Mark IV while still arguably capturing the same look. It would be a rare photographer indeed who could look at a picture from each camera and discern any difference. So if losing features such as the ability to shoot to CF cards, 1/8000 shutter speed, and USB3.0 connectivity doesn’t bother you, the 6D Mark II could be the camera for you. And as a bonus, you get the only flip-out screen of this trio! Comparing to the 7D Mark II though, we see that the competition is a fair bit tougher. The only major advantage that the 6D Mark II has over it is the sensor size. Its folding screen, higher megapixel count, and marginally better ISO performance offset the slower burst speed and weaker Autofocus. For filmmakers, the comparison is even worse. Again, we see stronger ISO performance and a full-frame sensor from the 6D Mark II, but the advantages end there. Both cameras put up the same 1080/60p maximum frame rate recording, and both wield a similar implementation of the lovely Dual-Pixel Autofocus. But the 6D Mark II lacks an All-I codec, leaving you with only the weaker IPB option. And adding insult to injury, there is no way to generate a clean HDMI feed to bypass the internal recording options. This is not a camera aimed towards filmmakers of any serious nature. Anyone using this as a primarily stills-camera will certainly enjoy the limited video features, but that is about the maximum of their usefulness. This is the point where we come to the obvious conclusion: the 5D Mark IV earns the top slot on just about every metric. And it bloody well out to, considering the massive jump in price. This is the camera for the real pros - only a 1D variant could unseat this camera, and even then only in a few extreme use cases. 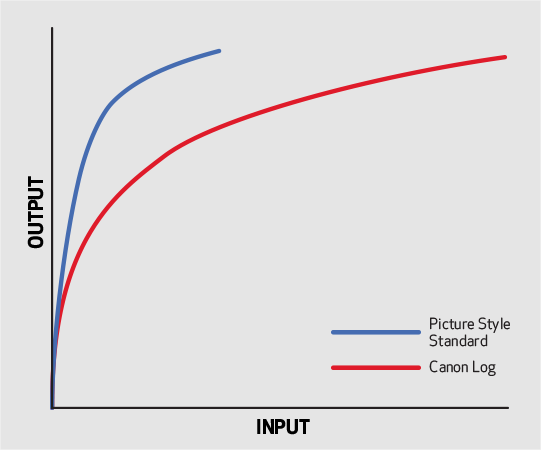 The 5D line represents the highest Canon DSLR that most photographers, videographers, and filmmakers will ever aspire to. But like all technology, it is subject to the law of diminishing returns. So when does it make sense to push through the cost barrier and buy or rent this workhorse camera over its more affordable siblings? For photographers, the answer is fairly simple: when you need all of the pro features you can’t get in the 6D Mark II, you move to the 5D Mark IV. For starters, dual card slots make for much safer shoots and guarantee instant redundancy in case you have a random card failure or an accidental format. This is absolutely critical for people like wedding or sports photographers who will never have a second chance at getting the shot. And of course the high-ISO performance is better, and of course the megapixel count is higher. There would be riots in the streets were this not the case. For filmmakers and videographers, the advantages almost surely outweigh any sort of cost considerations. The Canon 5D Mark IV shoots with the All-I MOV format variant at 1080p and the robust MJPEG codec at 4K. Yes, it shoots 4K, which no other camera on this list can even hold a candle to. It also records 720p up to 120fps and 1080/60p with a surprisingly high bit rate and very few artifacts. And while the other two cameras mentioned above all include Dual-Pixel Autofocus, only the 5D Mark IV integrates that with an all-new touch screen to create the smoothest autofocus experience possible. We haven’t even mentioned the C Log upgrade. You can learn more about the details in upcoming articles on ShareGrid regarding C Log, but suffice it to say that this paid upgrade dramatically enhances the flexibility of its footage in post-production. C Log is more than just a flat image profile - it dramatically increases the dynamic range of your footage and creates a much more gradable image that closely matches Canon’s Cinema EOS series. Ask any filmmaker if they’d rather have their camera with or without a true log profile. We both know where the majority opinion falls on this one. 7D Mark II - Canon’s best APS-C camera. Pro-sumer with an emphasis on video. 6D Mark II- Budget full-frame camera. An entry to pro photo, but a not ideal for video. 5D Mark IV- The (expensive) full-frame champion. Across-the-board professional. 1DX Mark II- More features than you can shake a stick at. The super-pro option. The next time you’re in the market to rent or buy a Canon DSLR, spare a thought for the 6D Mark II and the 7D Mark II. The 5D gets all the glory and the press, but that doesn’t mean its siblings aren’t capable of meeting (most of) your needs at a much lower price point.